Recently I was lucky enough to have been selected to take part in a Wharton Sophomore Career Exploration visit to two top global companies, Google and Nielsen. In a program targeted specifically for sophomores, Wharton hosts a series of career exploration treks in NYC and Washington, D.C. during the fall to provide students with a first-hand taste of what life is truly like at some renowned companies. We started our day bright and early by boarding a bus headed to NYC at 7 am. The bus ride was short and comfortable, and served as a great opportunity to get to know some classmates better. As soon as we arrived to the city, we were welcomed at Nielsen, a global leader in business and media information acquisition and analytics. After an informative presentation about a current Nielsen initiative, we had the opportunity to hear from a panel of current, recently hired employees. It was great hearing about their day-to-day lives, but what really drew my attention was how truly passionate each employee seemed to be about their office culture, interaction with fellow interns, and overall quality of friendships and coworker connections they found at Nielsen (something that is of top priority in my personal internship search). 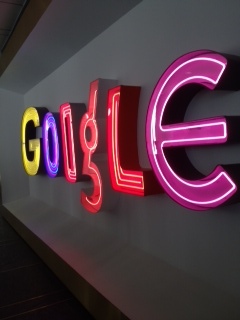 After our visit with Nielsen and a quick grab-n-go lunch from Chelsea Market, it was off to Google! Similar to Nielsen, our session with Google involved a presentation about Google’s history, mission, company culture, and opportunities, followed by a panel of two current employees. 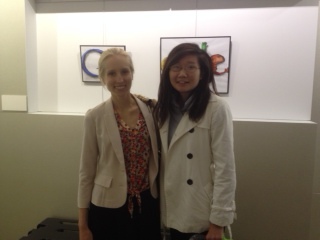 Both employees, Nancy and Catherine, had been Google Interns in the past, so could speak to both life as an intern and their current, full time employment situations. Overall it was a great day full of information, pleasant conversation, and inspiration. While I don’t know if I will end up working for Google one day, I will certainly aim to live according to their motto every day and “Do cool things that matter”! Monica is a current M&T sophomore in the Class of 2016. She studies Systems Science within Penn Engineering and has yet to declare her concentration in the Wharton School.